This item is designed only for use in Mexico and South America. Please call for more information. It is replaced by the Honeywell MS2400 Stratos. High throughput, slim line, bioptic scanner-scale for space-constrained checkout environments. The Metrologic MS2200 StratosS is a high throughput, slim line, bioptic scanner/scale for seated and space constrained checkout environments. The patented modular design provides ease of set up and quick maintenance, ensuring minimum down time and maximum customer service. The MS2200 StratosS allows for quick and easy migration to a new host type or interface, protecting your investment. It maintains productivity and uptime via independent scanning zones. For Mexico / South America use ONLY. 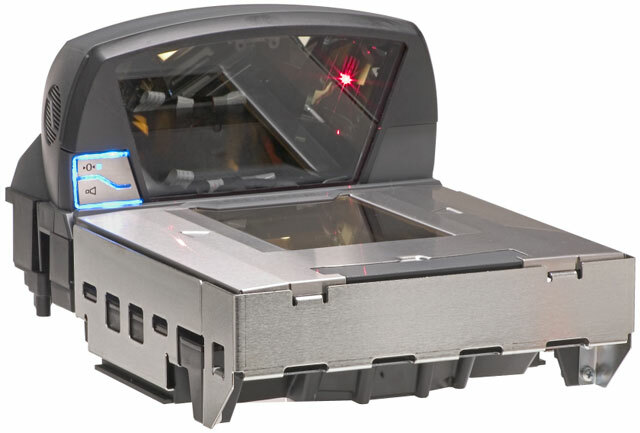 Scanner, Scanner Only, Subcompact, Sapphire and USB. For Mexico / South America use ONLY. Sub-compact size, scanner only USB kit. Includes USB cable, 220V power supply, & diamonex glass. For Mexico / South America use ONLY.